PT Asuransi Jiwa InHealth Indonesia (InHealth) is a subsidiary of PT Askes (Persero) who has more than 40 years of doing business health insurance. InHealth conducting its business activities in the field of life insurance health insurance with superior products that InHealth Managed Care and Indemnity InHealth. 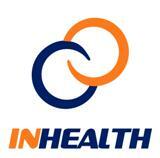 InHealth provide health insurance solutions with high quality and cost control. If you meet the qualifications above, please send full resume and recent photograph via email to: recruitment@inhealth.co.id by writing code: (Posisi_Nama Lengkap Pelamar) in the email subject. For detailed information & apply online, please refer apply on following link below. All applications will be treated confidentially.